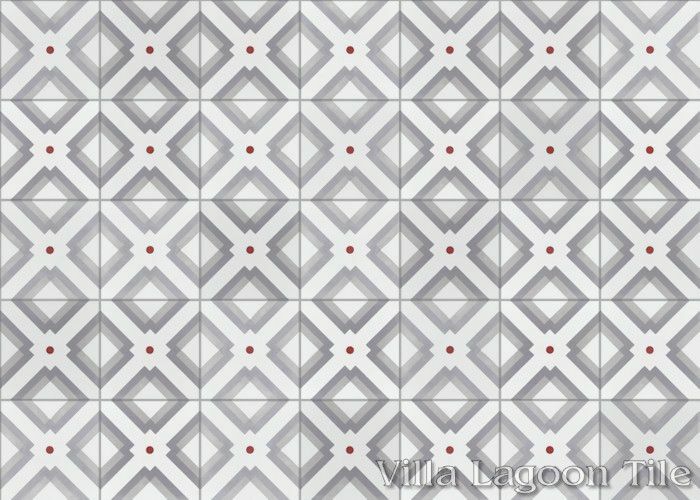 These are 8" cement tiles, using colors from the South Beach Collection. 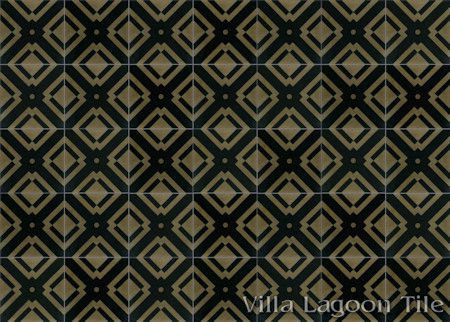 This subtle, sophisticated pattern is ideal for almost any situation. Perfect for a masculine look. 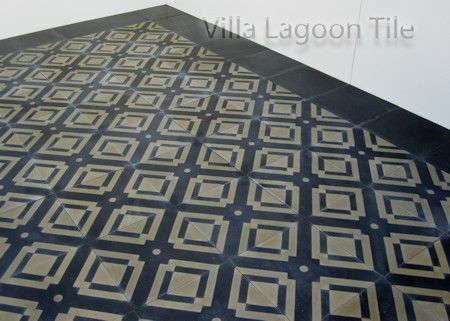 The soft black and khaki will be very resistant to showing spots and stains over time, while the "Cherry" colorway can really brighten a room. 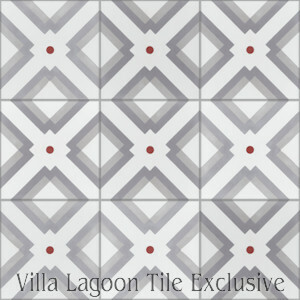 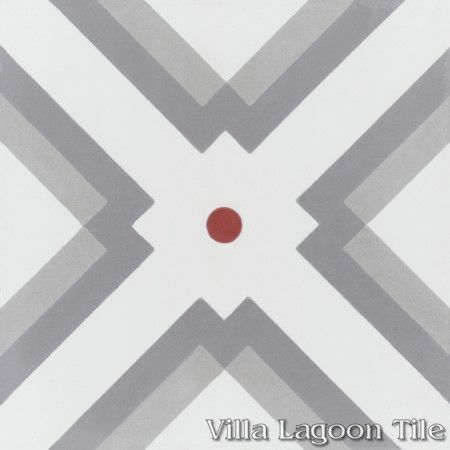 The "Manhattan" cement tile pattern is a Villa Lagoon Tile exclusive, designed by Lundy P. Wilder. 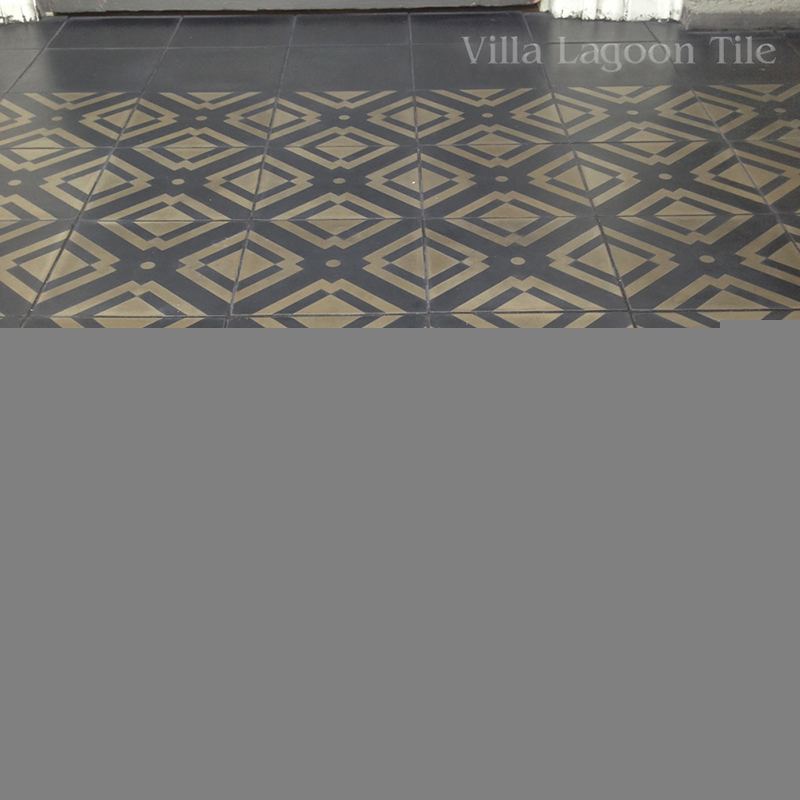 Ask about our special sealing instructions for this tile. 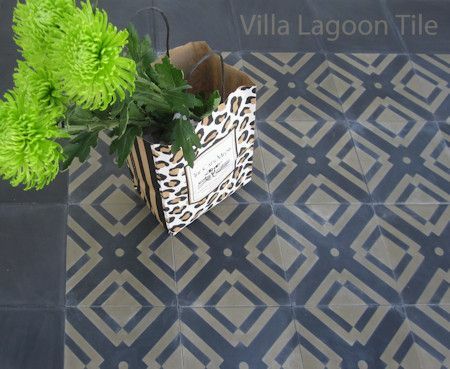 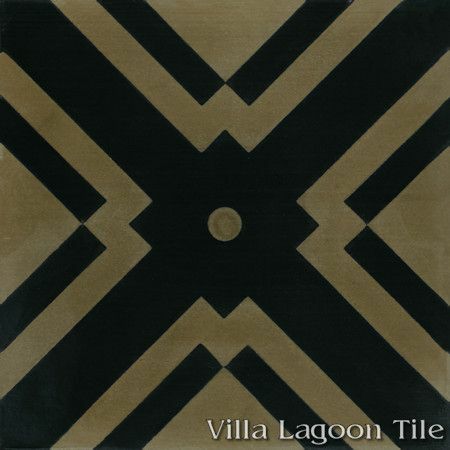 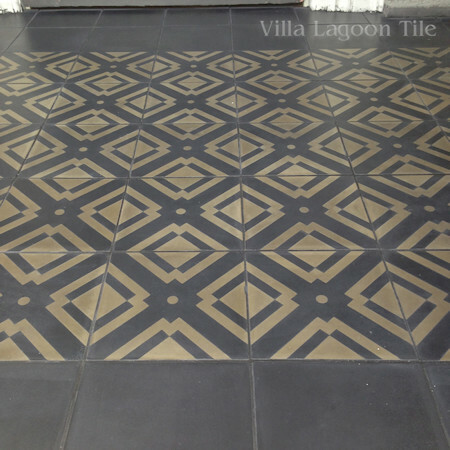 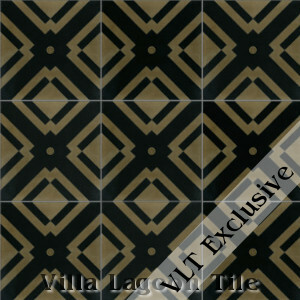 Villa Lagoon Tile's exclusive "Manhattan" cement tile pattern using Black, and Portobello from the South Beach Palette. 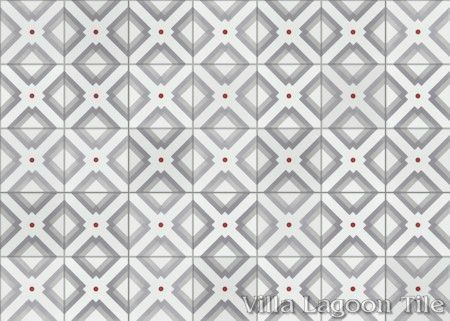 Villa Lagoon Tile's exclusive "Manhattan" cement tile pattern using White, Pebble, Urban Gray, and Beacon Hill from the South Beach Palette.